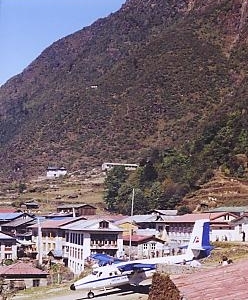 Lukla contains a small airport servicing the region, and a variety of shops and lodges catering to tourists and trekkers, providing western-style meals and trail supplies. 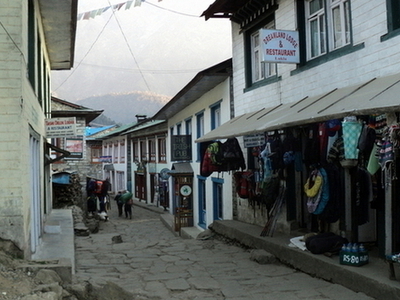 From Lukla, most trekkers will take two days to reach Namche Bazaar, both an interesting village and an altitude acclimatization stop for those continuing on. 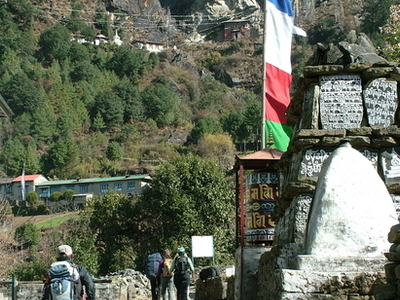 Here's the our members favorite photos of "Towns & Villages in Nepal". Upload your photo of Lukla!